You may still have to take photos, but now Google Photos will do almost everything else — from picking out your best shots to recommending who you should share them with. After all, it's easy to snap photos, but how often do you remember to organize and share them? It’s probably less often than you'd like, which is exactly what Google Photos wants to help you with. And since it's free to use, there's no harm in giving it a try. 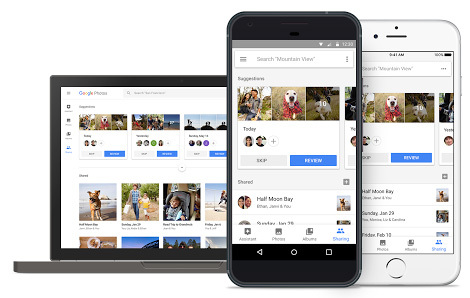 But before you dive in, let's take a look at all of the new features Google Photos offers. You'll either find the new Suggested Sharing feature annoying or amazing. When you take photos, Google's Photos app (free for Android, iOS and online) picks out the best photos and reminds you to share them with the people in the photos. It can even figure out who's in the photos and instantly share it with them when you click — no tagging or time-consuming entering email addresses required. It really takes the hassle out of the sharing process, which means you're much more likely to share your snapshots. After you've shared photos with your friends and family, Google will take a look at their photo library and suggest photos from the same event that they might want to share with you — and, again, it can share those images instantly, with just a click. Google can also recognize what not to share: for example, suggesting sending pictures of your kids to your husband or wife, but not sending to more casual acquaintances. All of this is done through the Google photos app, but it works even for people without the app. Anyone with the app will get an immediate notification, while those without the app will get a message that they should download the app. This won't work for anyone without a Google account, but most of your friends probably have Google accounts. But is this feature great or just annoying? Getting too many nagging notifications can be frustrating, so it probably comes down to just how much Google bothers you about sharing your photos. But sometimes it's annoying to hit the share button, even if you're reminded to do so. That's where shared libraries come in. Designed for families, a shared library will automatically share your photos with one person you trust. You can limit what you share: your entire library, photos that are taken after a certain date or just photos of certain people. Whoever you've shared with will see all of those photos in real time and can add them to their own photo library if they like. The sharing limitation suggests this feature is tailored for spouses, but Google has said it may expand in the future. According to David Lieb, product director for Google Photos, the company wants to make sure this feature is perfect before opening it up to more people. Considering the potential security and privacy concerns involved in automatically sharing photos, this makes sense — but it's still a shame that you can't set up shared libraries with the whole family yet. While there are plenty of services out there to print photo books, creating them can be time-consuming. You have to upload your photos and arrange them just so — and an abundance of choices can make it difficult for anyone but a designer to make their book look perfect. 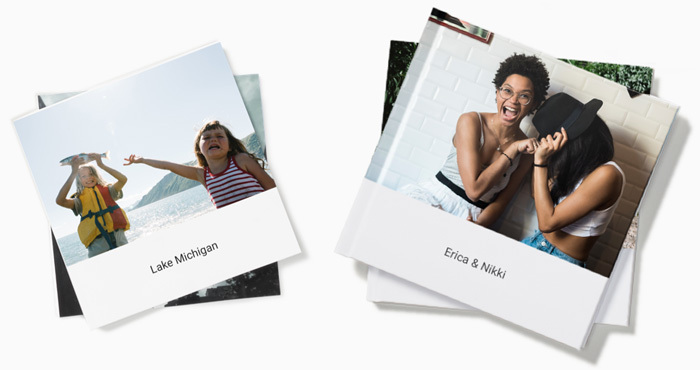 Google Photos' new photo book feature doesn't have as many style options as some sites, but that's not necessarily a bad thing. Instead, it offers a few simple designs that keep the attention focused on your photos. Like the Suggested Sharing feature, Google can automatically sort through the photos you select to find the best ones, which it will automatically arrange into a book. While you can rearrange your book however you'd like, Google does most of the work for you — and you may find the results are just right. 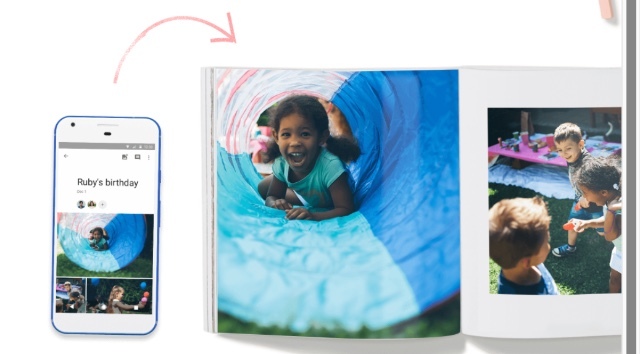 Google's photo books have a reasonable price tag, too. A 20-page, 7" softcover book starts at $9.99 (additional pages cost $0.35 each) while a 20-page, 9" hardcover book starts at $19.99 (additional pages cost $0.65 each). When can I start sharing? You can start using Google Photos right now — and if you need to transfer a big photo library to the service, it's not a bad idea to get started — but these features aren't available just yet. You can make and print photo books right now, while suggested sharing and shared libraries will be available in the next few weeks. 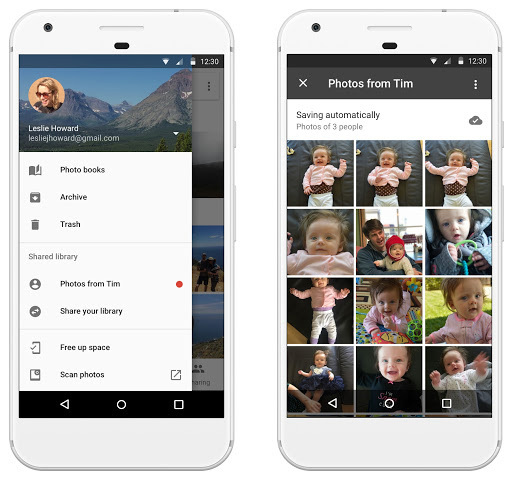 Google Photos is free to use (though it costs money to print photo books). Download it now for Android and iOS, or start using it online.